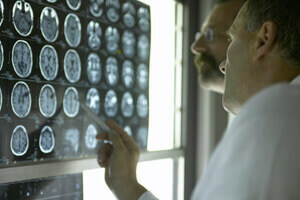 Traumatic brain injuries (TBI) result in the death or disability of many Americans each year. According to the Centers for Disease Control and Prevention (CDC), TBIs impact approximately 1.7 million people annually. Additionally, the CDC reports that TBIs account for approximately one third of all injury-associated deaths in the country. If you or a loved one has suffered such an injury in the New Jersey area, you may be entitled to compensation. Get in touch with a New Jersey traumatic brain injury lawyer to learn more. At The Rothenberg Law Firm LLP, a top rated brain injury lawyer will work hard to ensure you get the representation you deserve. Our dedication when pursuing compensation for you and your family is matched by our compassion. We understand that a TBI can place a tremendous emotional and financial burden on you and your family. Although we can’t undo the damage, our New Jersey traumatic brain injury lawyers can help ease some of the burden by providing the legal support you need. Everyone at your firm was very personable, caring, and diligent. Your amazing work was evident every step of the way, and for that I cannot thank you enough. From the very beginning I felt like everyone actually cared deeply about our situation, and it made the entire process much less stressful than I thought it would be. Please accept our warmest thanks. We will be sure to recommend your team to anyone who is in need of legal help. both legal and medical expertise. It is vital to have legal help at these times from a team of TBI lawyers with the experience and resources to do all that is necessary to ensure your interests are protected. record of competence, ability, and stability to be there for you in these stressful times.